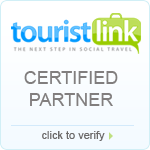 Have you ever looked for the place “must discover” before being invaded by group tour and major hotel chains? 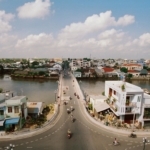 The province of Ben Tre in Vietnam could be just what you’ve been looking for. WHERE IS JARRDIN DU MEKONG HOMESTAY? Located in the southwest of Vietnam, one of the 13 provinces of the Mekong Delta, Ben Tre is known as the “land of the coconut tree” for its shady garden, bonsai garden, rare animals, birds, orchards. Jardin du Mekong is located in the district of Cho Lach, the famous place of island. It is in the countryside, and it takes 10 minutes by bike to the market. WHY YOU SHOULD CHOOSE IT ? 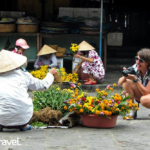 Jardin du Mekong provides you a priceless chance to communicate across cultures in a friendly atmosphere. It’s very small nature cozy homestay with a communal house and five bungalows . Our food all is home-made, Vegetarians and Vegans are welcome, and we invite you to enjoy the specialty of this village. We welcome everybody that want to come to relax,enjoy fresh atmosphere and find out the daily life of the local people here. All structures have been constructed using natural materials from the island, driven by our respect for the environment. There are many means of Vietnamese local transportation. The cars are available when you need. The boats are also available. It is worth to visit Thoi Son island (Thoi Sơn). 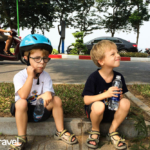 It takes a few minutes from Jardin Du Mekong to the boat jetties. Coconuts are the most favorite drink here. We can taste other fruit juice around the garden and try every kind of fruit available in the countryside and even exotic trees that you have never seen before. Also you have the experience to boat from one place to another to breath fresh atmosphere, visit the local church and go through the canals by boats or sampan… the endless canals swirled with water space which is charming and attractive.